From what I have heard among the Samsung consumers, they think the South Korean giant is over doing by launching a new series almost every quarter. Right from last year, we have seen the brand introducing its A, E, J and now ON Series of handsets in the country. We understand it might get confusing to a person who isn’t tech savvy and is in the market for a new Samsung device. Of all the series company launched, the recently launched Galaxy ON series and J series of handsets are quite similar in many aspects. So, to clear the confusion in your minds which device you should be buying, we are doing a comparison of the Galaxy ON7 and Galaxy J7 handsets. Samsung has always been offering the similar design language may it be a high-end phone or their mid-range devices, you’ll find the same classic form factor on every product of the company. The physical home button on the bottom front, the power button on the right edge and volume rockers on the left edge and almost every port is placed in a similar manner. It’s a good thing like Apple has set a standard; Samsung is trying hard to put all of their devices in a similar manner. What happens is that company doesn’t have to focus on completely changing the design rather tweaking on the one they already think is best for them. And you have to admire that design despite being quite the old. Now talking some numbers about these two handsets, the J7 is quite slimmer than ON7 at 7.5mm thickness against the 8.2mm, which I would say is quite the deciding factor when it comes to compactness. Both the devices are large at 5.5-inch screen size, but J7 offers better feel on the hand. The Display on both of these Samsung handsets are of the same size at 5.5-inch and even sport the similar resolution at 1280 x 720. But what’s interesting is that J7 offers you a Super AMOLED display while ON7 has a TFT screen. Now in our review of the Galaxy ON7 we voted the display to be quite bad. The pixel densities on these devices are at just 267 PPI (Pixel Per Inch), there is surely a need for good display technology such as AMOLED, which can at least make sure the color reproduction looks good on the device. So, here also the J7 smartphone wins. All Samsung devices except the Z3 (Tizen OS Phone) is powered by Android OS and it is no mystery that there will be TouchWiz UI here. The most important factor is that the interface is based on which version of Android OS. Both of these devices use the similar Lollipop 5.1 Version, and thus you get all the same features on both of these devices here. There is nothing different in terms of the user experience both of the same set of features. But note, there are some differences in terms of the performance, which we talk about next. The Galaxy ON7 is powered by the Snapdragon 410 whereas the Galaxy J7 is running on Exynos 7580 in India. The Exynos processor is a competition to the Qualcomm’s Snapdragon 615, and it easily beats that in terms of the performance. As well as in benchmark tests. Someone might even compare it with Snapdragon 801, but let’s just limit this discussion here. Now if you compare the performance of both of these handsets, then it is obvious that J7 would be offering more horsepower than ON7. Even though, the RAM is same on both of the devices. But one factor, the internal storage where ON7 is a complete letdown in terms of offering only 8GB internal storage while J7 offers 16GB storage space. The Galaxy ON7 and Galaxy J7 sports similar 13-megapixel resolution cameras on rear while on the front they both have a 5-megapixel camera. Along with the single LED Flashlight, the cameras on rear perform quite similar. Sporting the f/2.1 aperture number, they produce good color reproduction value and thus have good outputs in daylight and artificial light as well. But don’t get me started on the low-light capabilities; it isn’t what you would expect even from a mid-range smartphone. You can check out our detailed camera review of the ON7 and learn more about the camera capabilities. Note that the front-facing cameras are also same on both of these handsets. You’ll not be surprised how similar these handsets are in many aspects of the specifications. There is a 3000mAh battery in each of these two handsets from Samsung. The ON7, however, have an advantage when it comes to the efficiency in power management. The SD 410 processor is one good chipset that offers amazing standby time as well as SOT (Screen-on-Time) while you can also expect a good battery life from J7 as well. The conclusion that we come across is that if you are particular about your displays and like to use that large real estate for watching YouTube or movies, then I suggest you go with Galaxy J7 since it sports a Super AMOLED display. Moreover, it has more internal storage and a powerful chipset. 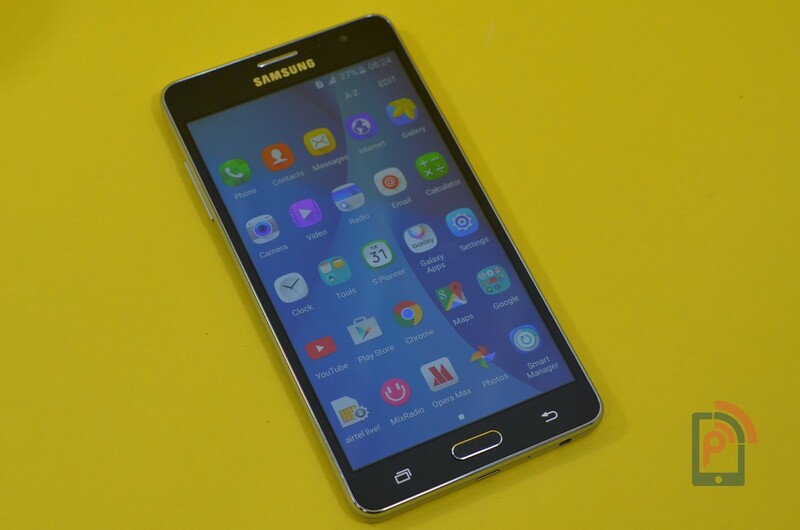 But if you’re on a tight budget then you should get the Galaxy ON7. It is good enough to make your daily activities easily done.